Officials say an Asian carp found in a Chicago waterway this summer apparently got past an electric barrier system intended to prevent the invasive fish from reaching the Great Lakes. 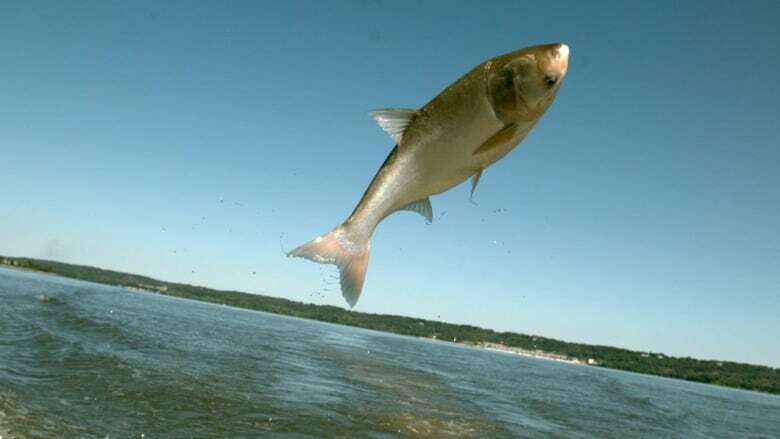 The Asian Carp Regional Coordinating Committee says an autopsy shows the four-year-old male silver carp originated in the Illinois/Middle Mississippi watershed. It was caught June 22 in Chicago's Little Calumet River, about 14 kilometres from Lake Michigan. That would suggest the carp somehow evaded three electric barriers 60 kilometres from the lake. But officials say they're not sure how it happened. Environmentalists and officials in some Great Lakes states say the barriers aren't enough to stop the carp. The U.S. Army Corps of Engineers recently released a list of options for strengthening defences at a lock and dam in Illinois.